The Australian dollar gained some relief after supportive economic data from China on Monday. Firmness in the commodities sector also acted as a support. The amount of money China lent to consumers and business grew above expectations last month. New loans topped 1.27T in June latest figures from the People’s Bank of China showed. There was also some improvement in the housing sector. House price falls slowed to -4.9% last month. Both factors are seen as driving growth of which the Australian economy is a major beneficiary. AUD/JPY climbed back to 91.45 after dipping as low as 89.14 last week. The Australian currency also held its ground against the greenback. AUD/USD stabilized at 0.7376 where it appears to have found a temporary floor. The RBA will release the minutes of its last meeting later tonight. There is also a speech by bank head Glenn Stevens which is scheduled early Wednesday (London time). These events will be closely watched for any change in sentiment as well as the economic outlook. The Australian economy remains under severe pressure from the slowdown in the commodities boom on which the country was heavily reliant. 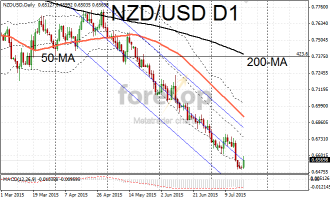 The New Zealand dollar will also be in the spotlight this week. The RBNZ will release its interest rate decision and monetary policy statement on Wednesday morning. The suppressed level of NZD reflects that markets are discounting a likelihood of cuts on the official cash rate of 3.25%. The New Zealand economy is suffering from a barrage of negative influences from a slump in the price of dairy products to a slowdown in demand from its main trading partner (Australia). 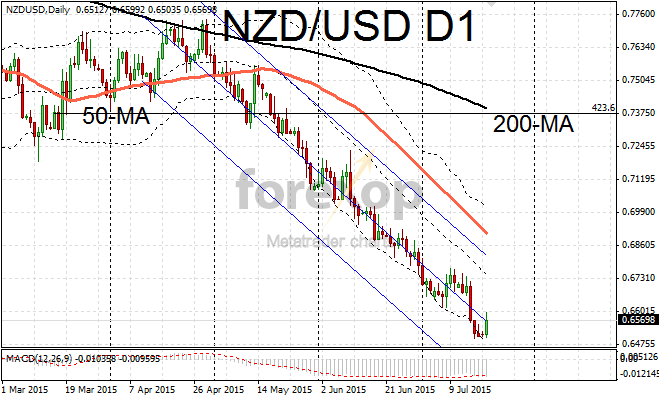 NZD/USD edged up to 0.6569 notching up the first significant gain in over one month. Although this move was largely due to a squeeze as traders closed short positions ahead of the central bank’s statement later in the week. The kiwi also gained against its Australian counterpart pushing NZD/AUD down 0.7% to 1.1224.